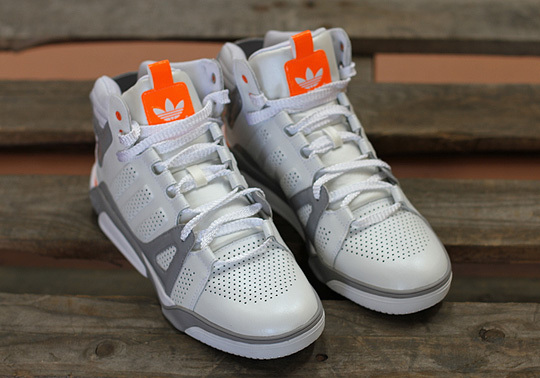 A new colorway of the launch model from adidas Originals' LQC Collection. 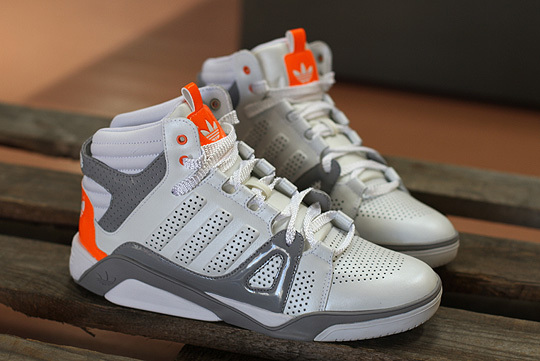 Earlier this spring, adidas Originals launched their Light Quality Comfort with the LQC basketball shoe, a new model from the brand that blends modern concepts with heritage design cues. 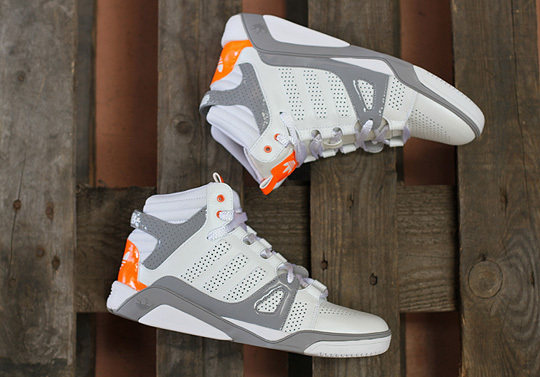 They also unveiled the LQC Trainer last month, but it's the basketball shoe that is already being released in new colorways. 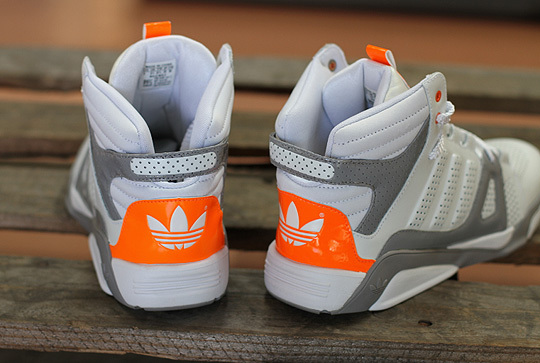 Here's a look at the LQC in a brand new White/Grey/Neon Orange make-up hitting adidas Originals retailers this month. The shoe features a perforated leather upper with dark grey detailing along the quarter panel, heel and midsole. 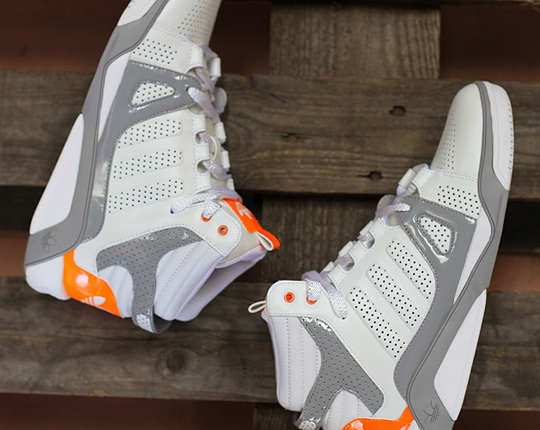 Giving the LQC a little flavor this time around are hits of neon orange on the tongue and heel. The midsole and outsole are finished off in white rubber. Look for these at spots like No. 74 Berlin today.